It’s the off-season, which means it’s the best time to focus on the portion of the race that is your weakest. If the cycling portion of triathlon is the weakest for you, you might want to consider trying a cycling group. 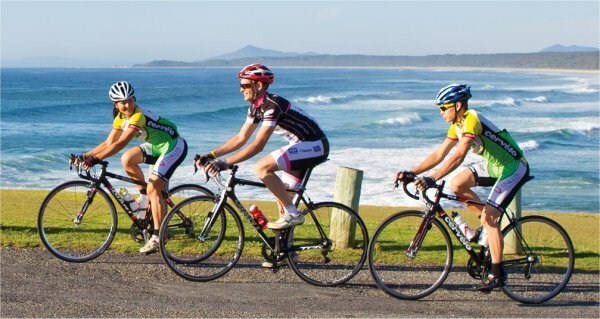 Cycling in a group is an easy way to stay motivated, while having a group of people who want you to improve. There are a few things you should know before signing up for a group. What kind of group is it? 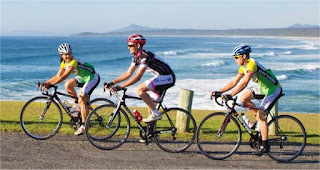 Cycling groups usually fall into one of two categories, the no-drop, or no-drop and no-wait. The no-drop simply means that no one gets left behind, so everyone waits for the slowest rider. The no-wait combination means that everyone can ride as fast as humanly possible, but at the designated point must go back for the slower riders. Some groups are all about racing. This means that every cycling meet-up is treated like a race and whoever is first to the designated finish line wins. Of course it is always important to find what works best for you. 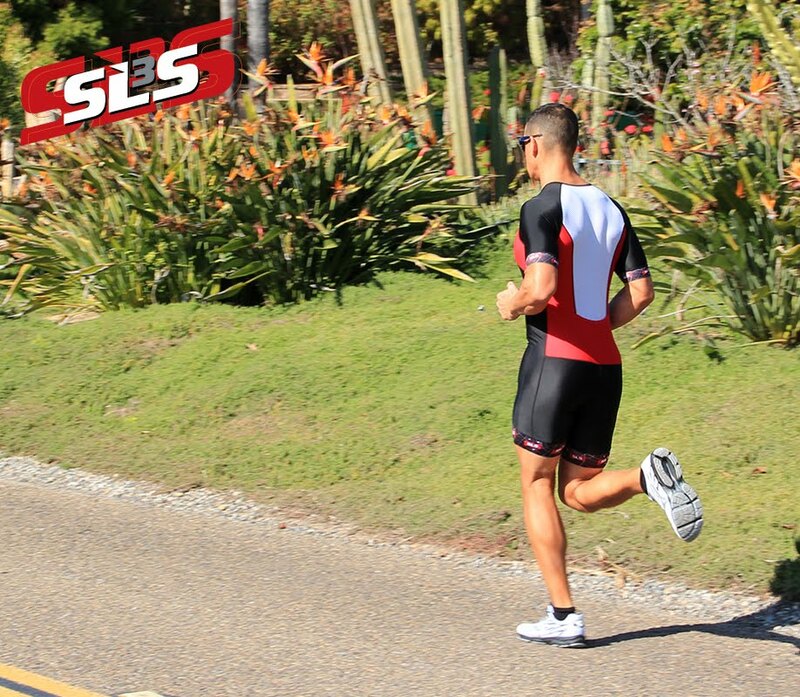 Would you rather try to compete in a race while training or focus on a good workout with proper form? Surprisingly, the most important part of all community cycling, is not cycling itself, but rather how well the group communicates. Before you set off, you should know your route and your group’s dynamics, (if there is a group leader, if you are waiting for people, and at what points). On the ride it’s important to shout out possible road hazards like potholes, so the entire group can avoid them. Communication can make or break a cycling group. One of the drawbacks to a cycling group is how close together you ride. Staying in unison with the person besides you helps you avoid clanking elbows or getting hit by cars. This calls for extreme focus, which unfortunately means leaving your favorite workout jams at home. Riding with ear buds can reduce the safety of the group, because you are not able to hear directions or precautions that are being shouted to the rest of the group. Maintain focus and avoid mishaps. The greatest benefit from group cycling is the pacing and pulling it teaches you. Riding in a group can help you gain insight on what your natural pace is and if you need to slow it down a few notches. One of the most common mistakes is burning up your energy before you get to the finish line on the bike. A group can help you slow yourself down and realize how much energy you spend. Pulling is something that has always been a little tricky to master, but when you train in a group you are able to practice pulling. Riding by yourself, you do not have a cyclist around you to pull ahead of, but riding in groups you are surrounded by people who pull past you and whom you can pull ahead of. This creates less panic during race time when deciding if you should pull or not, because you’ve been pulling with your cycling group. This should be common sense, but just in case it’s always helpful for a refresher. Bike tools are essential for any ride; so don’t rely on your fellow cycling members to have bike tools ready for you. It’s also benefits to know how to use the bike tools you packed, so you are not waiting for someone to help you repair your bike. Do not ride on an empty stomach. You should have enough fuel in your body to last the ride, unless you have a designated rest point to re-fuel, but no one should wait because your stomach is yelling at you to fill it. Lastly, make sure you are on time. Not only is it disrespectful to the other riders, but they also have to wait for you. If everyone takes turns being late that means the group will never start on time, so do your best to be punctual. Find a group that suits your training needs best and watch your improvements in the coming race season. Don’t be afraid to be the slowest person in the group, because everyone has to start somewhere. While cycling in a group can be fun, remember to focus on your training and watch your results soar.